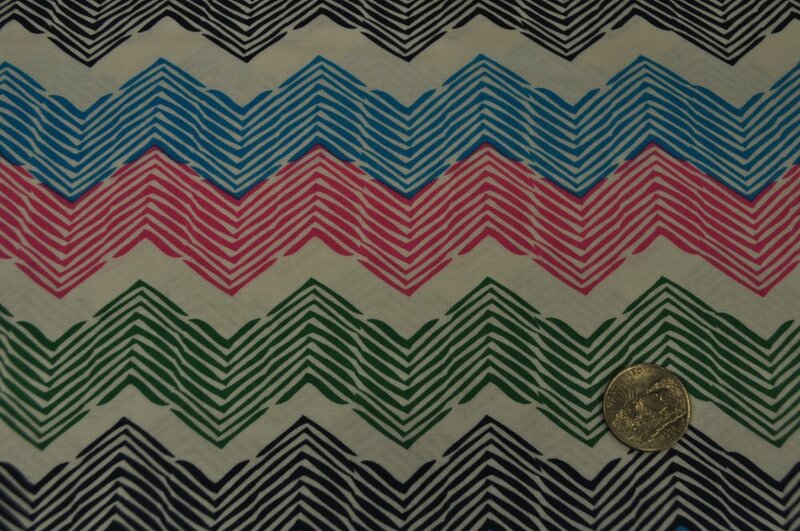 Navy pink green and teal chevrons on white from the Blythe Collection by Robert Kaufman Fabrics. 100% quality cotton. 44-45" wide.